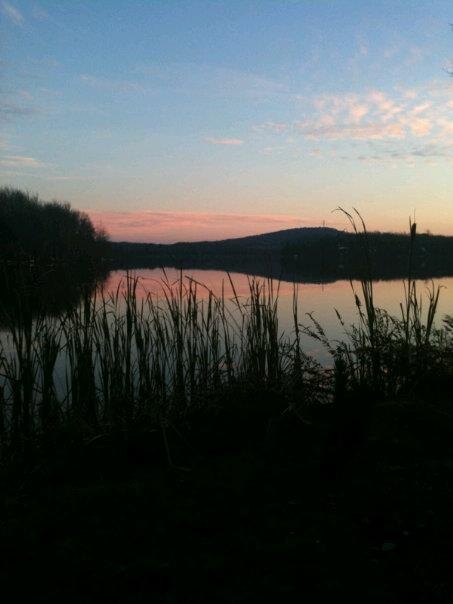 Big Bass Lake is a Perfect, Private, Gated Community in Gouldsboro Pennsylvania of the Pocono Mountains. This Community Provides to its Residents Three Large Private Lakes Flowing with Large Mouth Bass, Sandy Beaches with Protected Swimming Areas, and Water for Sailing, Boating, or Canoeing. Winter Time in Big Bass brings new fun to the Lakes with Ice Skating and Ice Fishing. There are Fully Equipped Playgrounds, Picnic Areas, and Six Professional Laykoid Surface Tennis Courts.Big Bass Lake is a Pocono Mountain Favorite offering it's Two Fully Equipped Recreational Areas for Full Time Residents and Vacationers Year Round. One has a Beautiful Indoor Swimming Pool, Coffee Shop/Snack Bar, A Magnificient View of the Ski Slope and "T" Bar, Sauna, and a Gameroom Including Billiard Shops and Ski Shop. The other Recreation Facility offers it's own Long List of Amenities Including a Connection to the Large Outdoor Heated Swimming Pool, Tennis Courts, Basketball Courts, Tennis Pro Shop, Locker Rooms, Game Rooms, and Facilities for Major Adult Social Functions.The Gouldsboro State Park is also Close By, and The Tobyhanna State Park is only a short drive down Route 380 South. Big Bass Lake is Conveniently Located just off of Route 380 in Gouldsboro PA. Big Bass Lake is also one of the biggest Communities in the Pocono Mountains. Valentines Day Special At Split Rock Resort! The Beautiful Pocono Gameland Bordering Property. Come Get Some Snow Here in the Poconos! More Snow Here in the Pocono Mountains! Pocono Rental Home At Jack Frost Mountain.